GREENWOOD, IN - A long-time Greenwood accounting and tax firm has changed its name. Sherman & Armbruster, LLP has become Compass Pointe CPAs, LLP. The firm will continue to be located at 609 Treybourne Drive, Suite A, Greenwood. Another office at 9955 Crosspoint Boulevard, Suite 200, Indianapolis in the Fishers-area opened earlier this year. 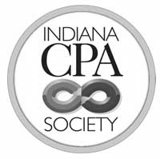 “This name change is part of the growth plan for our firm,” said Patrick A. Sherman, CPA and Founding Partner. Sherman and Marty Armbruster, CPA/PFS, CFP®, founded Sherman & Armbruster LLP in 1983. John Grant, CPA, joined the firm as a partner in 1992. Angela Coy, CPA, joined in 1997 and became a partner in 2008. Joe Paulson, CPA, also became a partner in 2016. As a natural extension of the firm’s desire to provide personal investment strategies for its clients, the partners established Treybourne Wealth Planners. “Two years ago, we decided to address our ownership structure and succession planning. This was driven by our desire to plan our future on behalf of our clients,” said Armbruster. Sherman, Grant, Coy and Paulson will serve as controlling partners of Compass Pointe CPAs. The firm’s services will continue to focus on accounting; business formation and entrepreneurial support; tax planning and technical research; and legacy and succession planning. The Compass Pointe CPAs’ telephone number will remain the same, 317.881.6670, as does its fax number, 317.887.5692. Also, as part of this planning, Armbruster and Stephanie Willison CPA/PFS, CFP®, AIF® will become the controlling owners of Treybourne Wealth Planners. The firm will continue its focus on wealth management, investment management and retirement planning. Treybourne Wealth Planners has new telephone and fax numbers. The new phone number is 317.449.2040, and the new fax number is 317.667.1452. The office will continue to be located at 609 Treybourne Drive, Suite B, Greenwood. Sherman and Armbruster said the day-to-day operations for both firms will not change. Each partner group will remain active full-time in their firms and will continue to collaborate on tax and investment issues affecting mutual clients. Partners and teams of Compass Pointe CPAs and Treybourne Wealth Planners will continue to invest, sponsor and be involved in their local communities. Besides the new name, Compass Pointe CPAs launched a new website and developed a brand by Clever Dogs Media Inc. of Greenwood. Additional Information: Angela Coy, 317.881.6670.